Universal Reagent Reservoir is a graduated single reagent reservoir with maximum volume of 50ml, reservoir with 8 separate numbered 5ml. Reagent channels & a reservoir with 12 separate numbered 5ml. Reagent channels. Made of polypropylene these reagent reservoirs are repeatedly autoclavable and can be used with all multi-channel pipettes. 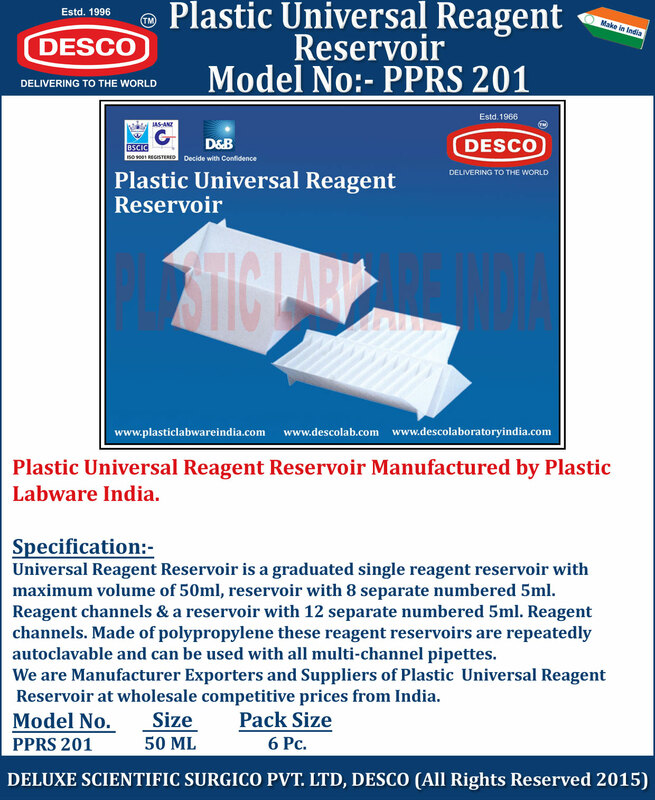 We are Manufacturer Exporters and Suppliers of Plastic Universal Reagent Reservoir at wholesale competitive prices from India. PPRS 201 50 ML 6 Pc.